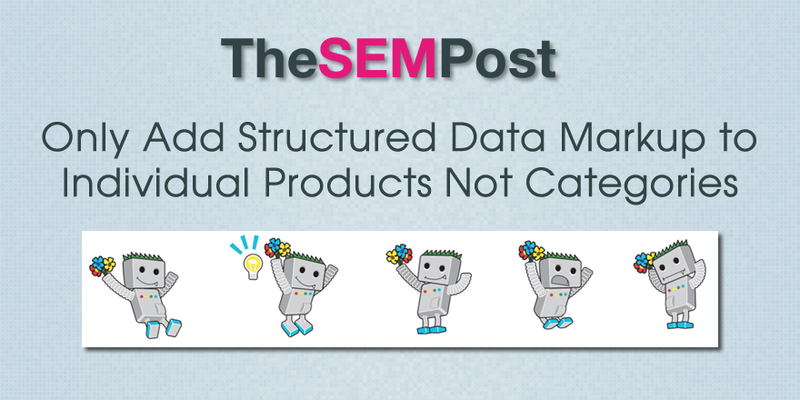 Do you have structured data for products on your category or pages with lists of items? You might not be aware that it isn’t permitted by Google. The question came up in the last Webmaster Office Hours, specifically about adding the markup to category and lists. So in general the structured data markup should be specific to the one main item on the page. So if you have a list of different items then structured data markup wouldn’t apply to them and you shouldn’t just markup one of those items on the list or you shouldn’t use aggregate ratings for example across all of the products on that list, you should probably just not use the structured data markup on a list of different items. For individual products, of course, that probably makes more sense. This is actually one of the most common reasons why people get the spammy structured markup manual action, a manual action from Google that will remove all structured data from the search results for the site. Not many people realize that this kind of implementation on category pages isn’t allowed – and some plugins adding it to categories and multiple product list pages has contributed to the problem as well. There is also a way to report spammy structured markup to Google, and I suspect that many of those reports are for this type of structured data spam, and probably by those who have been caught, and are then reporting on their competitors for doing the same. It is pretty common to still see this in the search results.